This is another photo of a section of wall at the Salmon Pueblo in New Mexico showing a more recent building style. 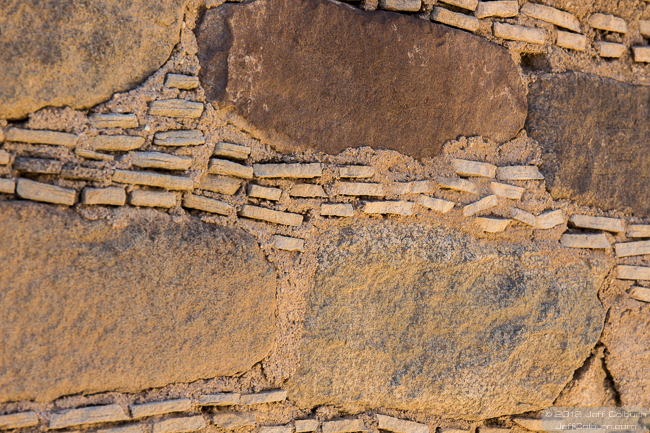 You can tell it’s the newer style by the tiny rocks pushed into the mortar between the big rocks. I don’t know why they did all this extra work, but it does look nice.